After 2 1/2 years, the restructuring of power in Saudi Arabia appears to be complete: King Salman, who ascended to the throne upon the death of his half-brother King Abdullah in January 2015, has coronated his son Prince Mohammad Bin Salman as the Crown Prince. Mohammad bin Nayef, King Salman’s nephew, was not only dismissed as Crown Prince but also removed from his power base, the Interior Ministry. Mohammad Bin Salman’s ascent to ultimate power is almost complete. His influence prevails over matters ranging from security and the making of foreign policy to the economic and petroleum sectors of the Kingdom. This is more than a close bond with his father — MBS has been expert in his machinations within the different policy realms of the Kingdom and in his posturing in the international arena. The last five years on the Saudi political scene, with the swift transitions in power, are comparable to the last decade of the Soviet Union when octogenarian Politburo members followed each other to their deaths until Mikhail Gorbachev eventually led country and Communist Party. the eventual power broker. While King Abdullah had run the country relatively smoothly, with even the waves of Arab Spring failing to make any sizeable impact, the succession was problematic. Abdullah outlived two of his potential successors, Prince Sultan and Prince Nayef, and the third — Salman — was old and far from the peak of health. The interim arrangement — a balancing with Mohammad Bin Nayef as Crown Prince and Interior Minister and the 29-year-old Mohammad Bin Salman as Deputy Crown Prince and Defense Minister — prevented immediate conflict but dangled the question of what would happen beyond the immediate. The question was answered by Mohammad Bin Salman’s access to power, both through control of Salman’s court and through his assertion of de facto decisionmaker on foreign and economic policy. Mohammad Bin Nayef was a Crown Prince without a court to develop patronage networks and distribute favors. When Saudi structures of governance were overhauled, the change from cabinet members to governors had the imprint of MBS. Separating the Bureau of Investigation from the Interior Ministry of Interior and putting it directly under the Royal Court further isolated Mohammad bin Nayef. 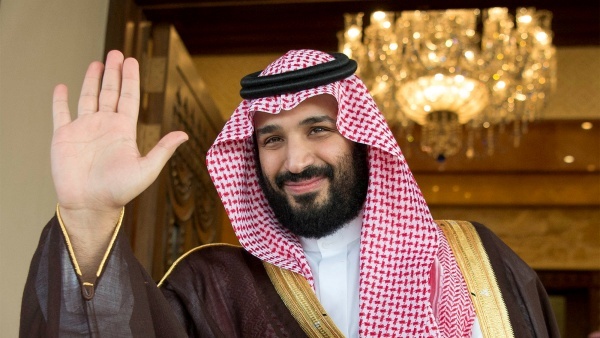 MBS’s emergence as the ultimate source of power and patronage has put a younger generation of Saudi princes in positions of power, and even those who did not like his rise had to accept it for the sake of their sons’ future. When the Allegiance Council met last week — in mysterious circumstances, given the recent death of its chair, Prince Mishaal, and no information about his replacement — MBS received 31 out of 34 votes. Far from coincidentally, four young royals named as special advisors or ambassadors at the same time are the sons of four key members of the Council. to break relations with Qatar. Meanwhile the influence of Mohammad bin Nayef, who had a good working relationship with the CIA and other security agencies, waned. Then there is the new Crown Prince’s hyper-activity and a revolutionary approach towards decisionmaking. The move to transform the Saudi economy and end its dependence on oil revenues was long overdue. Many Saudis recognize this, and so when Mohammad bin Salman announced plans for “Vision 2030” for Saudi Arabia, he reached youths for whom the greatest pressure is to secure a lucrative job amid a rapid population increase and a stagnant economic base with dropping oil revenues. If he sees political profit, MBS could take on even more controversial issues like the right of women to drive and the opening of entertainment spaces within the Kingdom. But all of this rests on a gamble both of youth and ambition. The Crown Prince may have maneuvered into a position of ultimate power, but he lacks experience to deal withchallenges on the domestic, regional, and international fronts. Mohammad bin Salman has opted for an aggressive foreign policy to counter his perception of Iranian influence throughout the region. He has driven military intervention in Yemen, built up alliances to combat “terrorism”, and turned against Qatar. But so far these steps have failed to weaken the Iranian position, have split Sunni Arab powers, and have risked alienating Turkey. Even the Crown Prince’s immediate triumph with Washington carries the burden of Donald Trump’s future. If Trump is further embattled, possibly even removed, can MBS count on the projection of a renewed US-Saudi alliance — given his alienation of many in the Defense and State Departments over the Qatar crisis and unease among some in Congress over the deadly Saudi intervention in Yemen? Still, the most pressing and critical challenge with which the Crown Prince is not international affairs or regional “security” but the domestic economy. If MBS has realized that the Saudi economic base must be diversified to finally ease dependence on oil revenues, he faces hard choices. The economic transformation plan envisages a reduction in reliance on the State, from public sector jobs to expansive subsidies. The implementation of rigorous checks on governance will result in some within the monarchy losing traditional perquisites and privileges. If Vision 2030 is not organized and comprehensive, and if the Saudi economy remains stagnant, the threat of domestic unrest will grow — a threat fed by a fast-rising population and a lack of opportunities. For “Vision 2030” to succeed, there must be the creation of a vibrant middle class which will be politically conscious and striving for more involvement in governance. But, at the same time that the Kingdom has to change, MBS wants to be the constant who is always at the center. Upon his ascendancy last week, Mohammad bin Salman was hailed by excited Western outlets from The Telegraph of London to The Washington Post as the “young modernising prince who could potentially rule for decades”. But that doffing of the media’s cap may be premature: as a British Prime Minister once noted — in a far slower era — “a week is a long time in politics”. And MBS’s weeks at Riyadh’s pinnacle are only just underway.